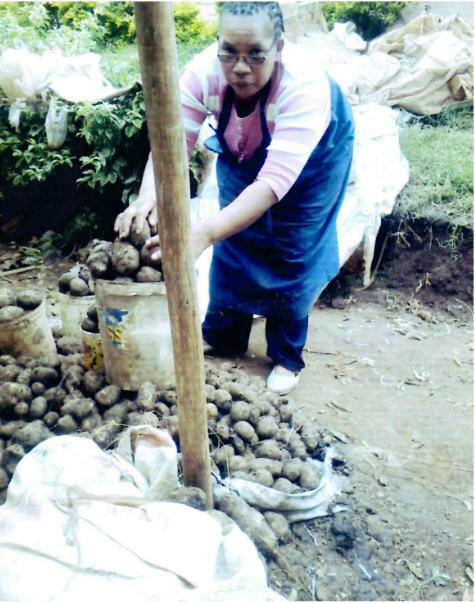 A loan of $300 helped to buy fruit and vegetables for her business. This is Mary who is married with children. She operates a small open air stall in Nairobi. She wakes up very early to buy goods from the large wholesale market where farmers from Nairobi environs come to sell their goods. She buys her produce and divides it into small portion though 500 gms and 1 Kilograms plastic containers and sell to residence around her stall. The income from her business she uses to educate her children and take care of her household. She desires to increase her fruit and vegetables in order to sell more varieties to her customers and with a Kiva Loan she will buy more.